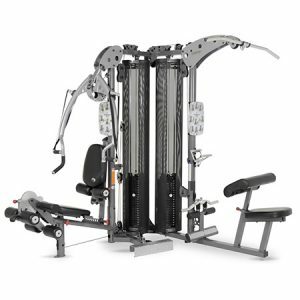 The TuffStuff SPT-6 Six-Pak Trainer is a compact and space-efficient all-frontal workstation that is changing the shape of strength training. 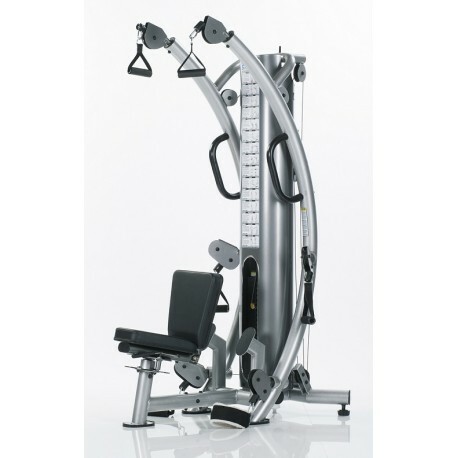 Manufactured from sold and stable 3” round 11-guage tubular steel and a combination of 2” x 3” oval and 2” round tubing, the machine offers unlimited functional and strength exercise training capability. It is finished with the good-looking powder coat finish that helps to make this TuffStuff gym really stand out. The TuffStuff’ SPT-6 Six-Pak Trainer is based on a compact European style design that encompasses proven cable motion technology. 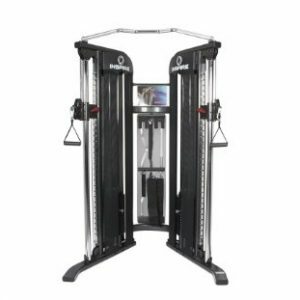 In addition, the handles are user-friendly, with an easy-to-use “free flow” design, and the machine features the industry’s first 360-degree rotating bench. Weight shields: Full length, made of protective steel. 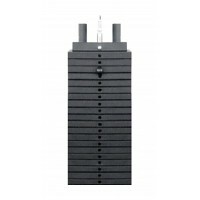 Powder coat finish: Platinum Sparkle accented with Ebony Chrome. 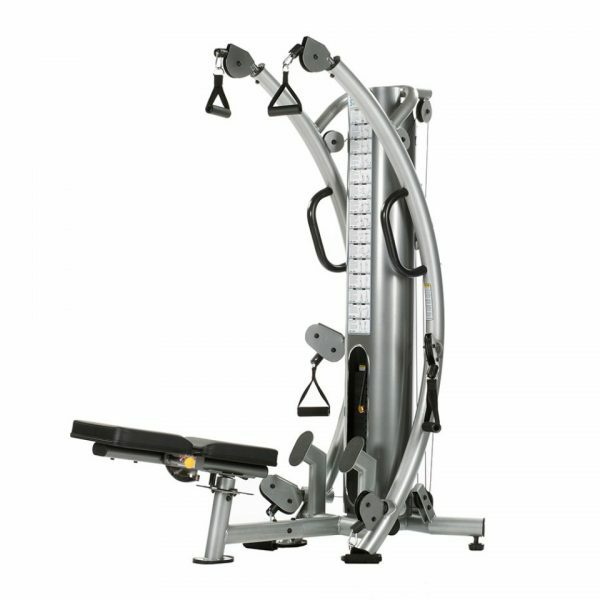 Weight and size: 67”L x 32”W x 80” (170 cm x 81 cm x 203 cm); shipping weight 275 lb (125 kg). Certification: Made in the USA; certified 920 lb test 1/8” military-spec nylon coated cable for smooth friction-free movement. Warranty: Lifetime on everything to the original purchaser when used in a home environment. Sports specific: Ideal for baseball and golf handle; variety of handles, as well as rope and multi-use. Accessory stand: Powder coated stand that can hold all the accessory items including those mentioned above. Straight bar with double hook: Ideal for pilates-style movement.